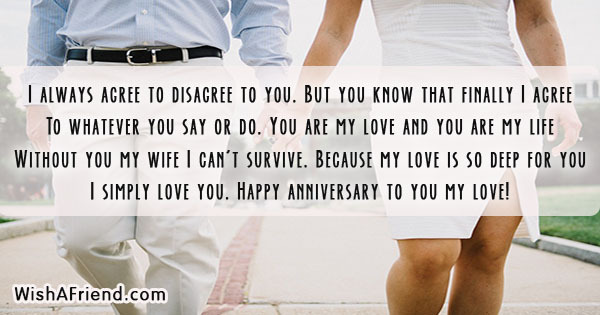 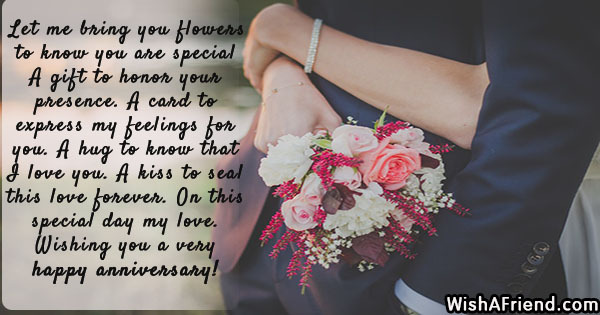 Melt your wife's heart on your anniversary with some romantic messages. 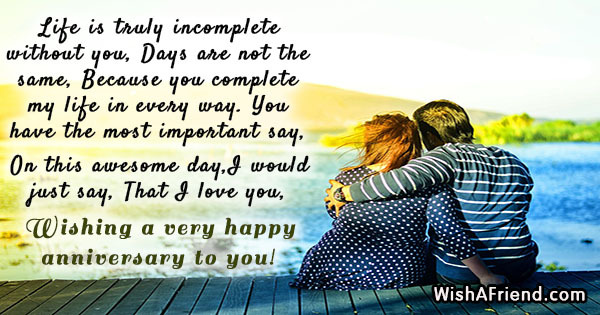 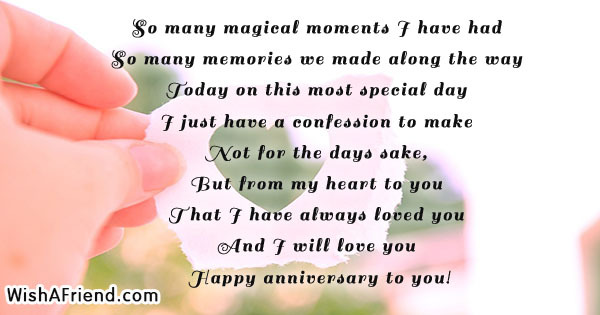 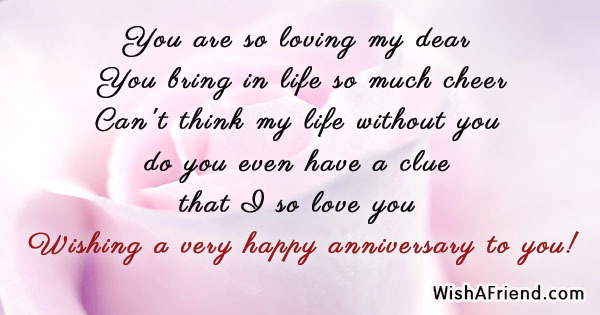 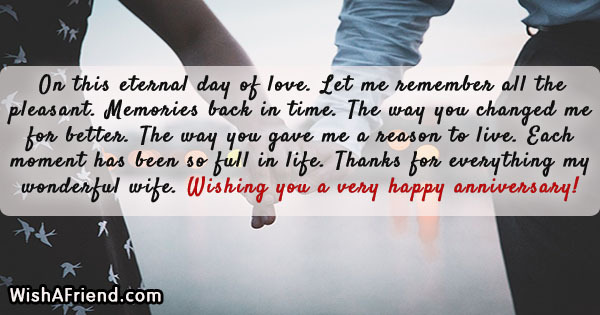 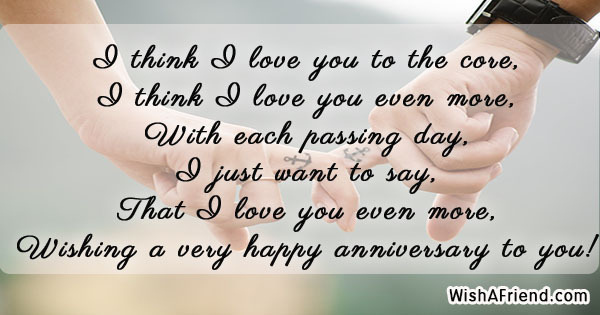 Send the Anniversary messages for your wife via a hand written greeting card, Text, email, Facebook,Whatsapp, IM, etc. 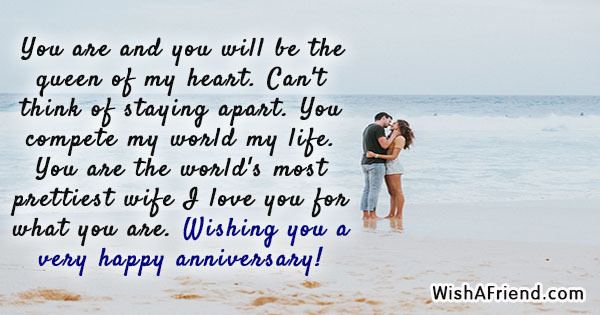 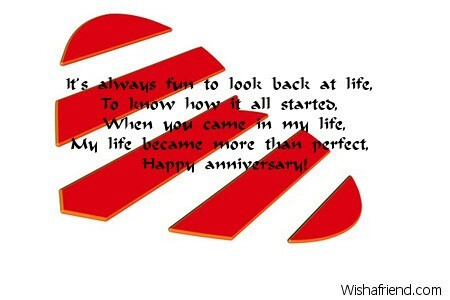 Wishing a very happy anniversary to you! 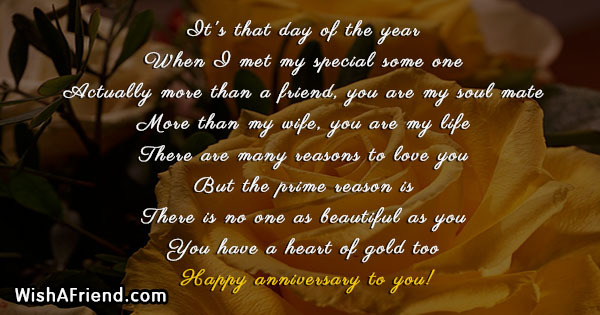 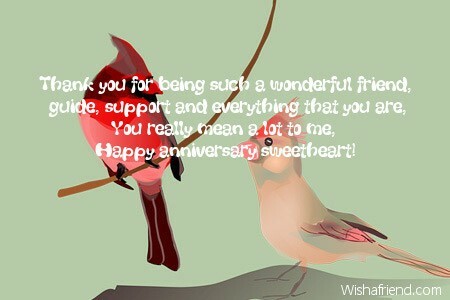 Wish you a happy anniversary dear! 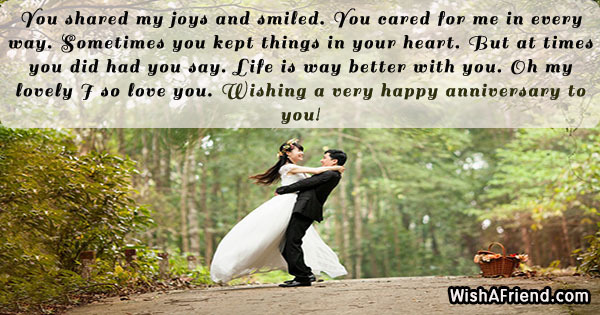 My lovely wife...it's only you!